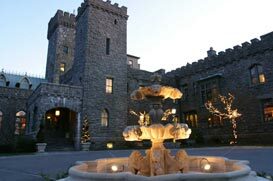 Tarrytown is a community of old-world charm mixed with new-world amenities. Settled during America’s colonial era, you can find many historic houses and sites that reveal the pleasant character of Tarrytown. But the upside to the area is that it isn’t stuck in the past. Modern amenities range from up-and-coming restaurants to in-home features that spare no comfort. Located along the Hudson River and near major highways, you’ll easily reap the benefits of the surrounding areas. Though you may hear the stories of Tarrytown’s past, you’ll certainly be creating a new adventure every day. Whether you prefer to drive or take train, Tarrytown has a transportation mode that will fit your needs. Tarrytown Station offers express service to New York City’s Grand Central Terminal. Average time takes about 35 minutes. Local service is also available between other Metro-North commuter stations. Tarrytown enjoys quick access to major highways and interstates in the New York area, including the New England and New Jersey Turnpikes. The New York State Thruway also connects Tarrytown to Albany (via Tappan Zee Bridge) and New York City. Tarrytown residents have plenty of options to choose from when flying. All three of New York’s major airports are located nearby (Newark, JFK, and LaGuardia) in addition to Westchester County Airport. Tarrytown’s history spans back to the Revolutionary War and even into one of Halloween’s most famous stories, The Legend of Sleepy Hollow. But the one part of Tarrytown’s history we’d like to focus on is its popularity with famous New Yorkers back in the early 1900’s. People like John D. Rockefeller called this community home, giving rise to many lavish estates. Nowadays, you can still see the influence of those individuals on Tarrytown’s real estate market. Many extravagant homes line the streets of the community, giving you access to some of the area’s best real estate. Below, you can find a short list of great schools in and around Tarrytown. If you’d like to learn more about the schools in Tarrytown, you can contact us for more input. Tarrytown offers some of the best in home choices. In-house amenities rival those that you can find in New York City, and you’ll enjoy breathtaking views of the Hudson River. Put together, calling Tarrytown home is one unforgettable experience. For more information about Tarrytown, please don’t hesitate to contact us. © 2019 Hudson Gateway Multiple Listing Service, Inc. All rights reserved. IDX information is provided exclusively for consumers' personal, non-commercial use and may not be used for any purpose other than to identify prospective properties consumers may be interested in purchasing. The information appearing herein has not been verified by the Hudson Gateway Multiple Listing Service, Inc. or the Hudson Gateway Association of Realtors, Inc. or by any individual(s) who may be affiliated with said entities, all of whom hereby collectively and severally disclaim any and all responsibility for the accuracy of the information appearing at this web site, at any time or from time to time. All such information should be independently verified by the recipient of such data. This data is not warranted for any purpose. The data relating to real estate for sale or lease on this web site comes in part from HGMLS. Real estate listings held by brokerage firms other than William Raveis Legends Realty Group are marked with the HGMLS logo or an abbreviated logo and detailed information about them includes the name of the listing broker. Data last updated: 2019-04-20T16:15:09.97.